An international team of scientists, including quinoa breeding experts from Wageningen University & Research, published the complete DNA sequence of quinoa – the food crop that is conquering the world from South America – in Nature magazine on 8 February 2017. Quinoa is rich in essential amino acids and nutritional fibres and does not contain gluten. The crop is important to farmers as it provides a reasonable yield even on poor soils. 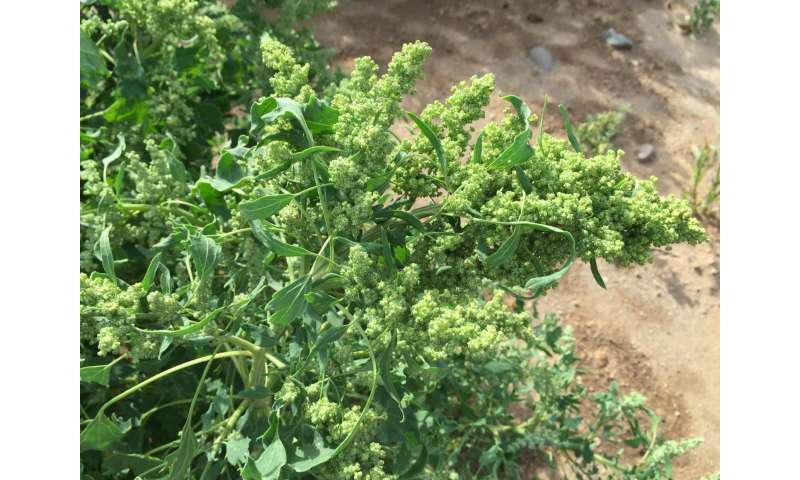 The new knowledge about quinoa DNA is already being used by breeders who are developing quinoa varieties which grow well in saline soil and still meet the taste requirements of consumers. The scientists determined the sequence of the DNA-building blocks of the entire quinoa genome. The total length of the DNA, the 'genome', consists over a little over 1.3 billion DNA building blocks (the nucleotides A, C, G or T), divided over 18 chromosomes. Printed on paper this would add up to over 500,000 pages of text. To map the DNA building blocks, the scientists used a smart combination of various DNA sequencing techniques. 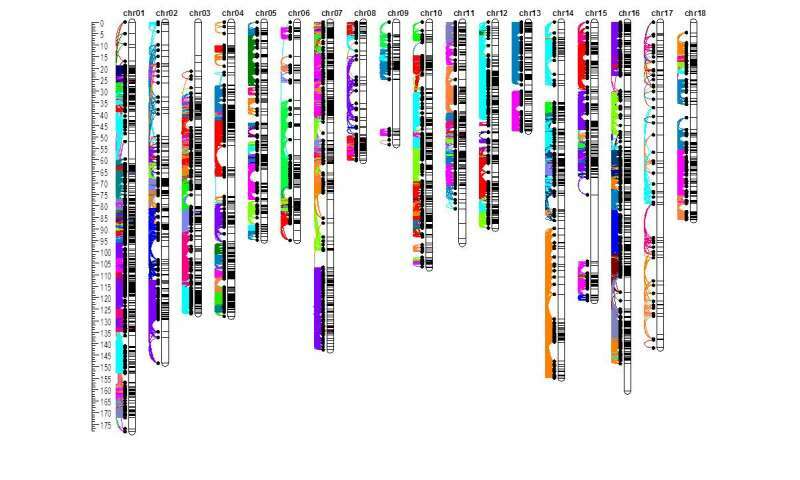 While this enabled them to put together ever-larger DNA segments in the computer from the huge amount of DNA information available, it did not lead to the 18 segments which represent the 18 chromosomes. The scientists therefore applied genetic maps that were made by crossbreeding plants to determine how molecular markers were inherited by the offspring. This allowed them to place most of the DNA on 18 large DNA-strains, representing the quinoa chromosomes. According to Robert van Loo, expert in quinoa breeding at Wageningen University & Research, it was this combination that allowed the scientists to clearly map the DNA. "We were able to determine the location on the chromosome of no less than 85% of the DNA-sequence. This is a major benefit for plant breeders." Van Loo and his colleagues will be using the new knowledge in various ways, including the development of quinoa varieties which meet the demands of both consumers and farmers. Van Loo: "For example, we discovered mutations which ensure that certain quinoa varieties cannot produce bitter tasting saponins. These 'sweet' varieties do not need to be polished to remove the bitter substances, saving some 15 to 20 per cent. 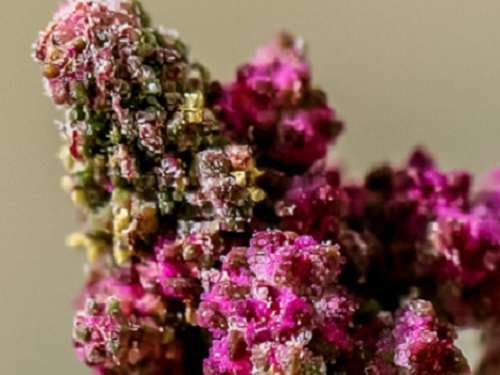 With the new knowledge of quinoa DNA, we can quickly and easily select plants that do not produce bitter substances in the breeding process." In the future, scientists can probably ensure that specific varieties – such as those that are well adapted to the cultivation conditions in a specific region – do not produce bitter substances. "Gene directed mutation breeding could be a good approach in this regard, with varieties that have already proven their value regionally being the starting point," says Van Loo. "The varieties which are currently being grown in South America can probably be made sweet with one specific mutation." The research was led by the King Abdullah University of Science and Technology in Saudi Arabia, a region with difficult growth conditions for plants and with many poor or even saline soils. Wageningen University & Research provided DNA sequencing experts and breeding scientists to contribute to the research. It was this Wageningen team that made the genetic maps on which the gene which regulates the production of saponin (bitter substance) was found. Ancient civilisations in the Andes already used quinoa as an important food crop. It faded into the background with the arrival of the Spanish, however, which is why quinoa was never truly 'domesticated' despite being such a good and healthy food crop. One of the properties that makes quinoa less attractive is the presence of bitter substances on the outside of the seeds. Known as saponins, these substances can be removed from the seeds although the process costs time, money and water. Wageningen University & Research has already developed four varieties without bitter substances since the 1990s. Quinoa is part of a plant family known for its growing power in extreme conditions, such as in poor soils, at high altitudes and even in saline soils. There are already various quinoa varieties which produce food in places where other food crops, such as wheat and rice, have very poor yields. As a result, quinoa is seen as a crop that can help produce extra food with fewer inputs of water and fertiliser. The new knowledge of the DNA will accelerate the development of extra sustainable quinoa varieties which also meet other demands from farmers and consumers alike. When Chimeras of Animals can be made, why not mix it up with various food crops? GM plants owned by big corp is the furthest thing from food security.